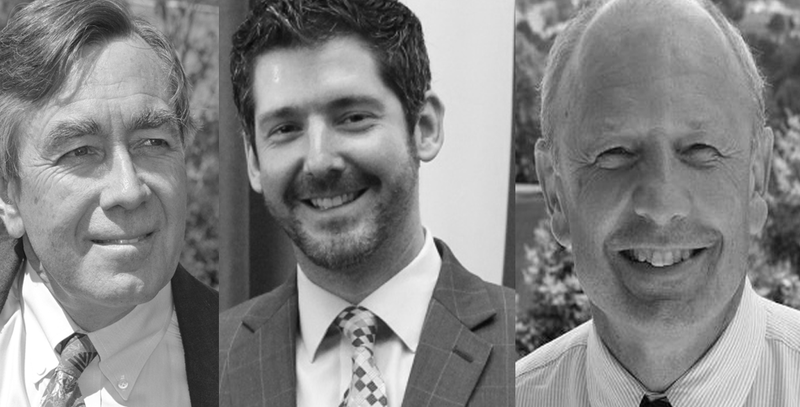 Reps. Deane Rykerson (D-Kittery), Andrew McLean (D-Gorham) and Michael Brennan (D-Portland) have each sponsored new borrowing bills in the Maine Legislature. AUGUSTA – Maine’s current general obligation bond debt is about $376 million, but Democrat lawmakers eager to flex their muscle with control of both chambers of the Legislature and the Governor’s office have proposed almost $1.27 billion in new general obligation bond debt in just the first month they have been serving in Augusta. The bills to borrow money for a variety of reasons total twenty in number, and range from a proposal to borrow $50 million to “address sea level rise” to borrowing $15 million to “invest in smart city technology” and a proposal for $150 million in borrowing to construct a new convention center in the city of Portland from Gorham Rep. Andrew McLean, among other purposes. 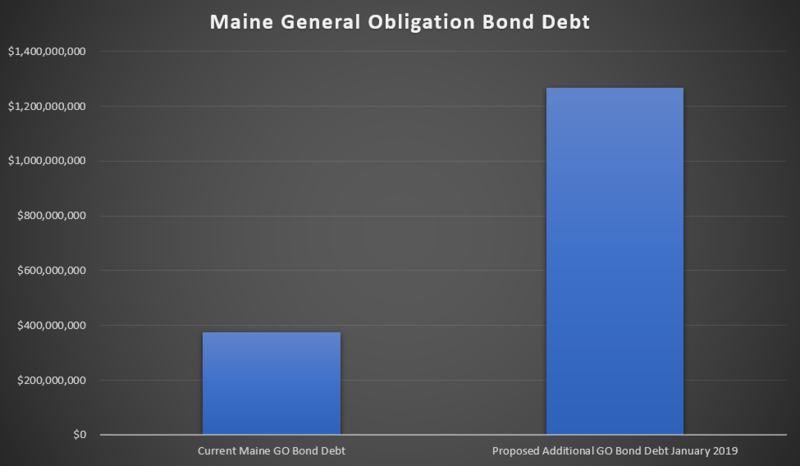 On the left, Maine’s current general obligation bond debt, on the right, the additional general obligation bond debt proposed by Democratic Legislators so far in 2019. Sources: Legislature.Maine.gov and Maine Treasurer’s Office most recent debt summary. According to the Maine Treasurer’s Office, Maine is set to make debt service payments totaling almost $93 million on Maine’s existing general obligation bond debt this year, that amount includes over $20 million in interest payments on the existing debt. Of the twenty Democrat-sponsored bills to borrow money that are currently up on the Maine Legislature’s bill tracking website, twelve bills have zero Republican cosponsors. Lack of bipartisan support hasn’t stopped Democrats, however, as most of the borrowing bills that have failed to win Republican cosponsors are stacked with four to nine Democrat cosponsors in support of the new borrowing. One bill, a bond to expand rural broadband internet access has won four Republican cosponsors of the nine total cosponsors on the bill.